[S4308] Census-1900-MA-Worcester-Grafton, Roll: T623_692 Page: 15A; Enumeration District: 1632. [S4309] Census-1860-MA-Worcester-Templeton, Roll: M653_528; Page: 658; Image: 328. [S4240] Internet-Civil War Soldier Records and Profiles. [S4310] Census-1870-MA-Worcester-Worcester, Roll: M593_659; Page: 380; Image: 241. 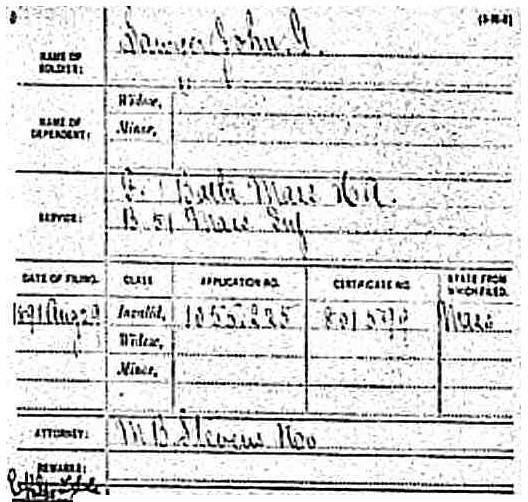 [S4311] Census-1880-MA-Worcester-Holden, Roll: T9_563; Family History Film: 1254563; Page: 262.3000; Enumeration District: 811; Image: 0225. [S4274] Census-1920-MA-Essex-Newburyport, Roll: T625_695; Page: 5A; Enumeration District: 226; Image: 785. [S4295] Internet-DB-NEHGS-Mass. 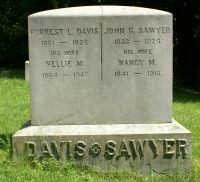 VRs, 1841 through 1910, 462:614 (3rd marriage of son, John G. Sawyer. [S4295] Internet-DB-NEHGS-Mass. VRs, 1841 through 1910, 462:614.